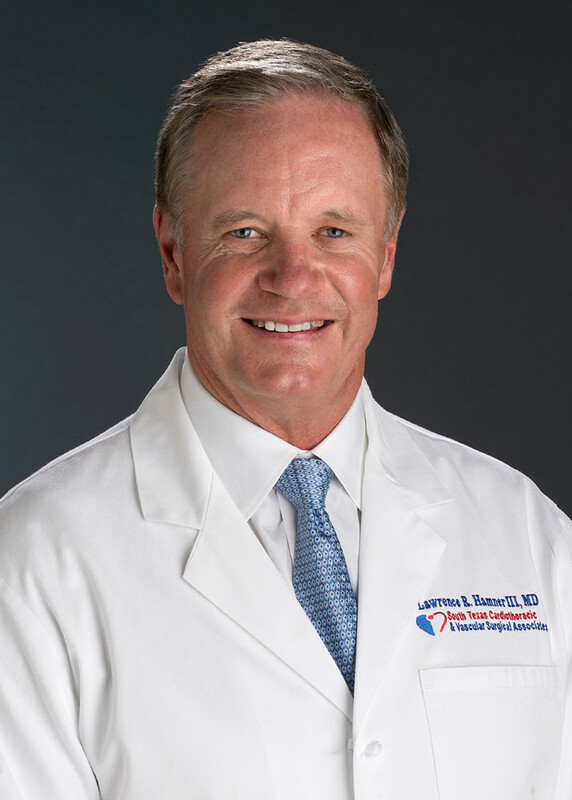 South Texas Cardiothoracic > Doctors > Surgeon > Lawrence R. Hamner III, M.D. About Lawrence R. Hamner III, M.D. Dr. Hamner helped form South Texas Cardiothoracic and Vascular Surgical Associates and has served as President since its inception in September of 1997. He began practicing in San Antonio in 1988 after completing his surgical training. He is a Diplomat of the American Board of Surgery and the American Board of Thoracic Surgery. Dr. Hamner is a graduate of the University of Texas Southwestern Medical School where he received his medical degree. He chose to complete his general surgery residence at Emory University Hospitals in Atlanta, Georgia. Returning to Texas, he completed his cardiovascular and thoracic surgery residency at the Texas Heart Institute in Houston, Texas. Honors include recognition in The Best Doctors in America: Central Region 1996-1997 and The Best Doctors in America 1998. Throughout his career, Dr. Hamner has served as Clinical Assistant Professor at the University of Texas Health Science Center in San Antonio, Texas, as well as Chairman for various hospital and organizational committees. Currently, Dr Hamner is involved in a study of the efficacy of Transmyocardial Revascularization (TMR) laser surgery, and serves as co-director of the Heart Transplant Program at Methodist Specialty and Transplant Hospital.